THIS DREAM EXPERIENCE TOOK PLACE IN 2005. If one looks toward the Hindu Bible it tells of Brahma who created the universe. Brahma is an aspect of God, as is Shiva, so too is Vishnu. If we look into the Hindu Trinity, BRAHMA is the Creator, SHIVA the Destroyer and VISHNU the Preserver. In an unearthly dimension at the base of the greatest mountain ever seen, I found myself standing before God who took the form of Shirdi Sai Baba. As I stood before this magnificent mountain I knew without doubt there could NEVER be a mountain greater or higher than this. Its colour was the deepest and darkest of blue, and the sound resonating from it was tremendously penetrating. It emitted a continuous droning sound of AUMMMMMMM – and I felt it touch the deepest level within me, my soul, and wonderful emotions of love began to rise rapidly. I looked over at Shirdi Baba who was now beckoning me to come to him. He lead the way until finally we entered a great cave within the mountain. Deep inside we sat on the ground and Baba began talking on things that I cannot remember. In front of us was a fire that no longer burned. Sitting on the cold ashes was a large black iron pot. Baba looked at me smiling then said, look inside the pot and take (one.) With a smile like a small child ready to unwrap a present, I leaned over and looked inside the pot seeing a number of very old copper coins, in which I took one. Then I took another and Baba began to laugh loudy. Then I asked could I take one more please, still laughing Baba said, OK, but don’t take them all I need one myself. I now had three old copper coins sitting in the palm of my hand which for some reason I knew, they represented something very important in my life. Baba then stood up and began leading me out of the cave saying that it was now time to leave. After giving my love and saying goodbye, I then began to walk away when I noticed on the side of the mountain right before me no more than a metre away, and at eye level, a living movie start to unfold on the solid rock face. I then all at once realized what I was witnessing; it was the Hindu Trinity descending rapidly from the peak of the mountain - the (3) Gods; BRAHMA, SHIVA and VISHNU together side by side running fast down the side of the mountain. I fully knew who they were as if I had always known. Then the three gods came to a stop at the base of the mountain with Vishnu being twice or even three times the size of the other two gods, and having (4) arms with objects in each hand. I was so overwhelmed with emotion I screamed out the word LUMAH to Shirdi Baba while pointing towards the (3) gods. Baba was smiling broadly at my excitement, yet I knew without doubt that Baba Himself was the ONE above ALL (the ALL). And again while pointing at the Trinity and looking straight at Baba, I again excitedly called out loud (LUMAH), three times in all, and still that one word eludes me to this day. Then I woke where sleep never came again, how could it, my mind was full of the beautiful images just witnessed. When I speak of the (3) High Gods (The Trinity), they are but manifestations of the “ONE” Supreme Godhead (Baba) who plays out His game for us here on earth in these forms. It is very difficult indeed to explain in detail and afford the full comprehension of this to another, unless one is versed well in the Hindu scriptures, in which I am not. Its only because of the personal experiences I’ve been given am I able to grasp just a little at this particular time in my life. Yet just recently I have been given grace to know a little more! 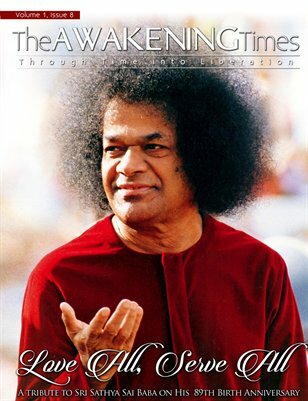 In 2006 when called in for an interview I asked Swami (Sathya Sai Baba) for the meaning of Lumah. He looked at me then quickly looked downwards and spoke rapidly in a language I could not understand. After that I never had the chance in asking again. The Godhead, the ONE above all comes down in different realities, or, in different aspects of Himself. God creates a manifestation of Himself by taking on form in the physical world for a very specific purpose. And don’t we need Him urgently today, for the world is near breaking point. HOW MUCH LONGER CAN IT GO ON?